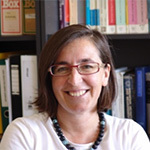 Dr Konstantina (Dina) Mergia is Research Director at the National Centre for Scientific Research “Demokritos”. She currently coordinates the Fusion Materials activities of the Hellenic Republic participation to the EUROusion consortium. She has been the Principal Investigator/Scientific Responsible – Coordinator in several European projects related to materials for aerospace and extreme environment applications and in research projects and technology tasks of the European Fusion Program. She has represented Greece to European Committees and Advisory Bodies. Her research refers to materials at extreme environments (fusion energy and aerospace systems), nanomaterials, radiation damage, phase transformations and transport phenomena, ceramic-metal interactions and joining, surface phenomena and oxidation, material engineering and magnetic materials. Presentation Title: Fusion material activities at "Demokritos"
Realization of energy production by fusion demands materials able to withstand the extreme conditions of fusion plasmas e.g. high temperature and high irradiation fields. Furthermore fusion materials should guarantee long and safe operation of the fusion reactor which after decommissioning should be of low activity. Unfortunately, existing materials do not have the necessary capabilities and thus, innovative material technologies have to be implemented for the development of new material able of withstanding the high neutron loads and temperatures of a fusion reactor. NCSR “Demokritos” has been very active within the European effort for the development of Fusion materials. The main theme of our research on Fusion materials is towards the understanding of the mechanisms which lead to material deterioration under irradiation and the relevant processes from atomistic to mesoscopic level. NCSR “Demokritos” has been active on all three classes of Fusion materials e.g. structural, plasma facing and functional materials. Highlights and main achievements of the last fifteen years research on Fusion materials at NCSR “Demokritos” will be presented.